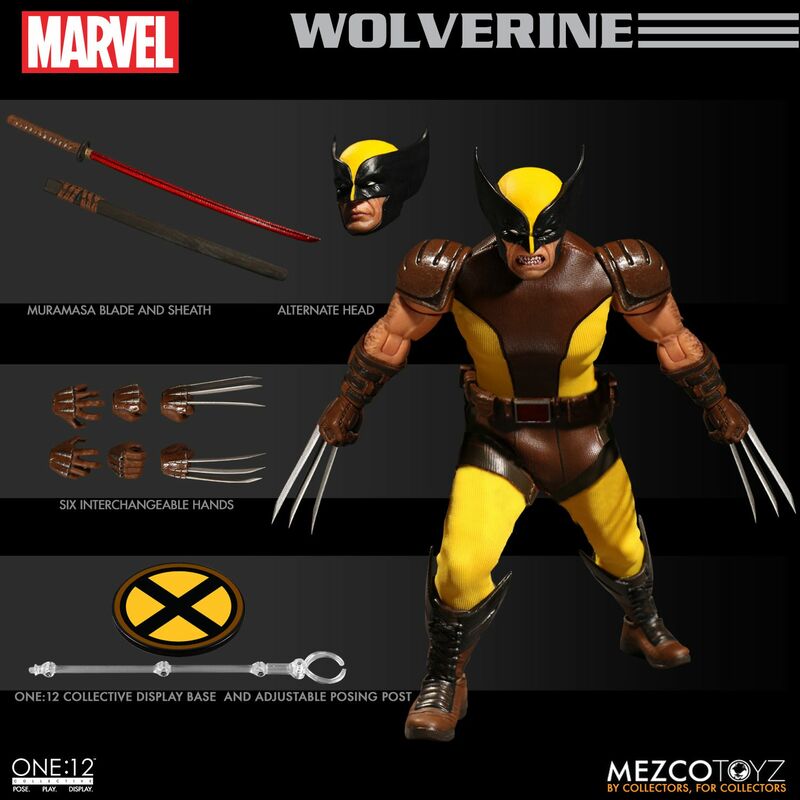 You can pre-order Wolverine by Clicking here. The figure is priced at $80. Release is currently scheduled for some time between august and October. Read on for all of the new photos. 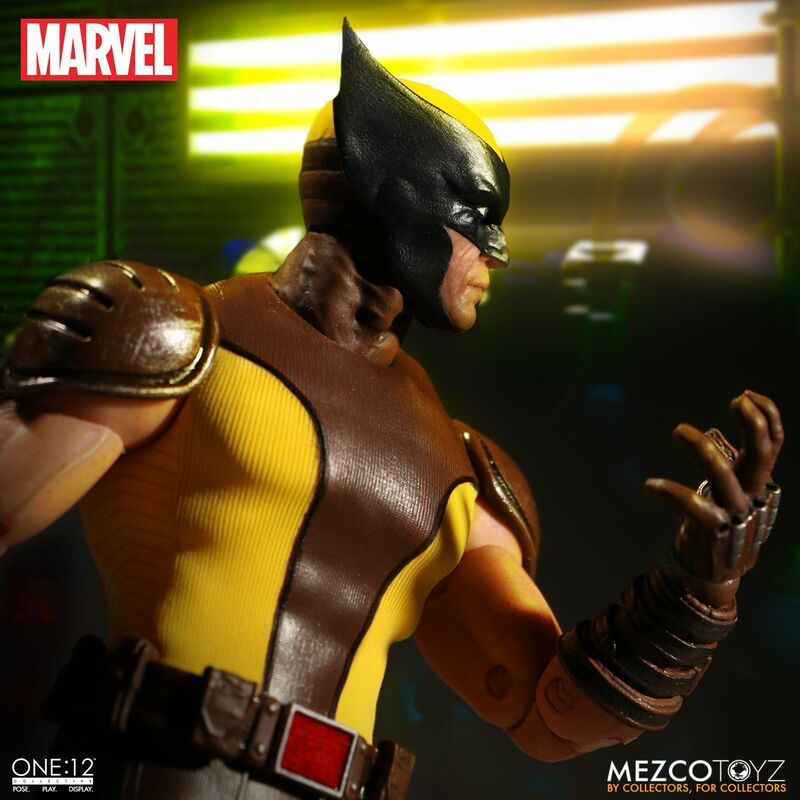 Always preferred the Brown and Yellow suit, and I like Mezco's take on it. 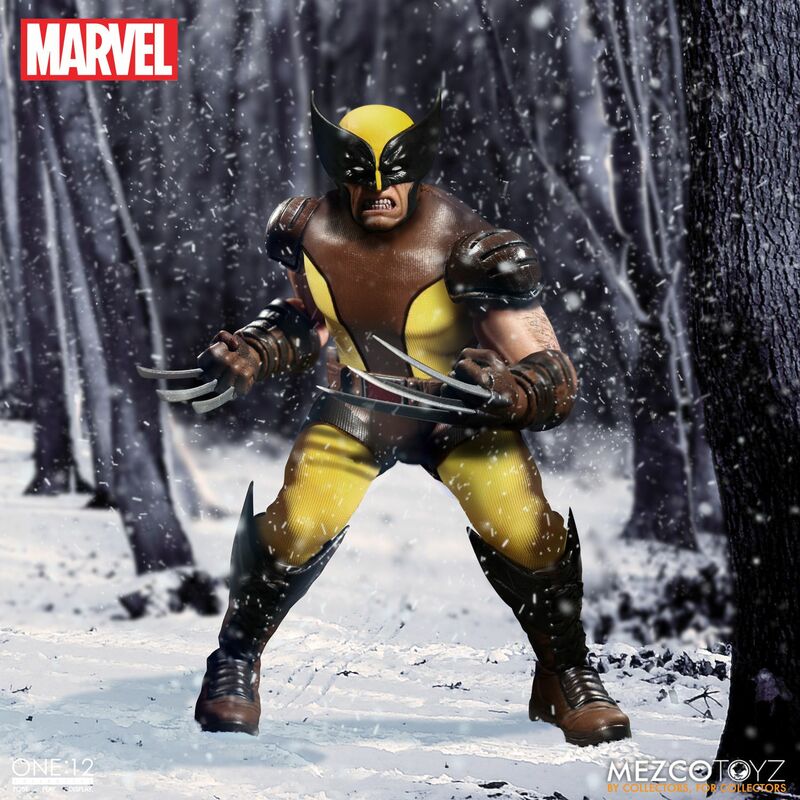 I grew up with the brown and yellow, never really became a fan of the yellow/black/blue suit but wonder if Mezco will do that as a variant, I'm hoping for a younger Logan release, more Canadian lumberjack style with a plaid shirt and leather jacket, that would be great. 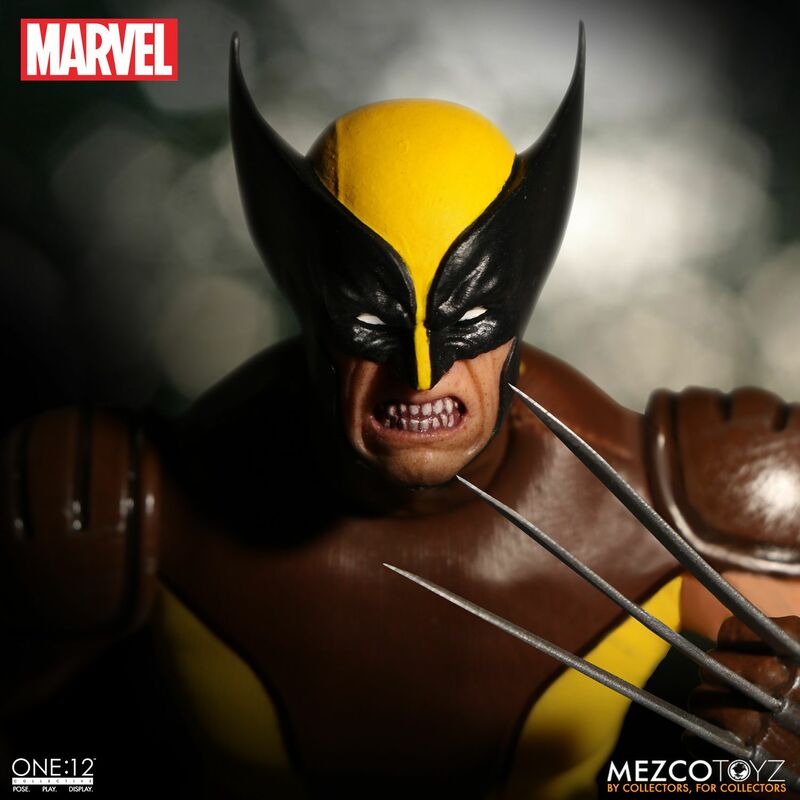 Ordered this Wolverine and the Old Man Logan, I've been super pleased with how Mezco has done with the Marvel License. I would like to pick the minds of those in the know. I see this item and I understand that it is really good. The sculpts are great. 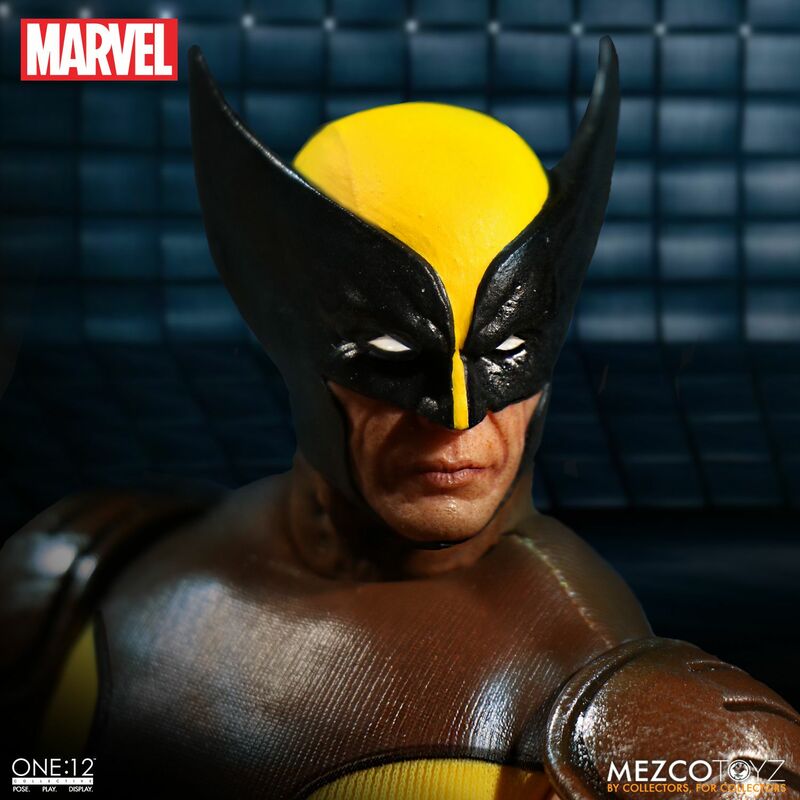 I do not have any Mezco items but i see these and I compare them to some items I am more familiar with that contain softgoods like Disney elite premium. I think that the Disney items are much bigger and are of comparable looks. No they are not AS good but they are still pretty good, Vader is really good and so is Kylo. They are only $20 bucks and twice the size. 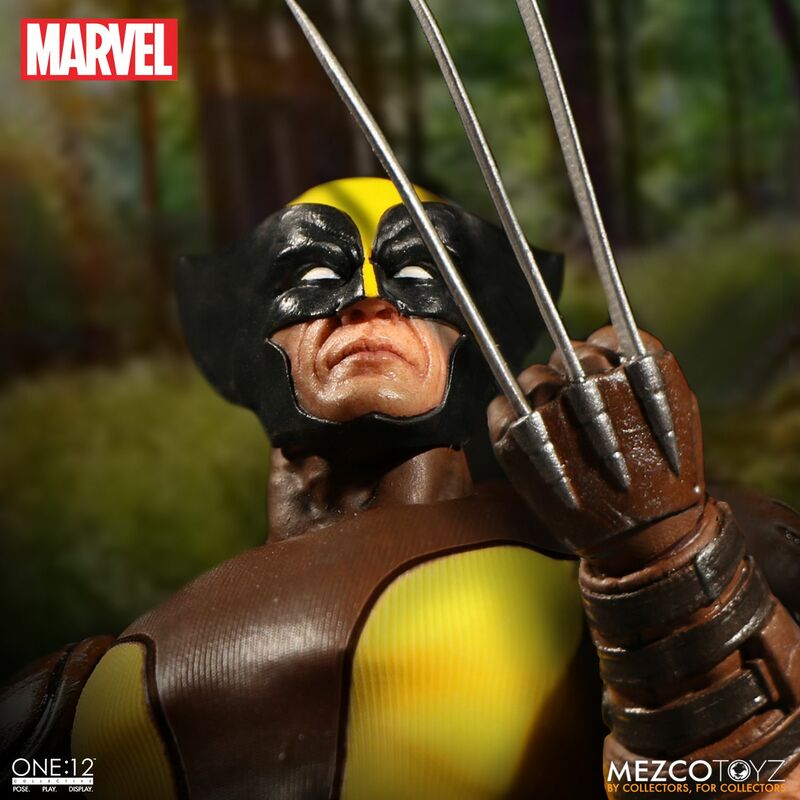 I would consider them better than some of the Mezco stuff from what I have seen. Could somebody enlighten me on how this item can SHOULD cost $80 while other items are less pricey and of comparable looks and quality? I definitely get where you're coming from based on your comparison, It would seem odd to pay triple the price of the Disney Elite for a smaller figure. 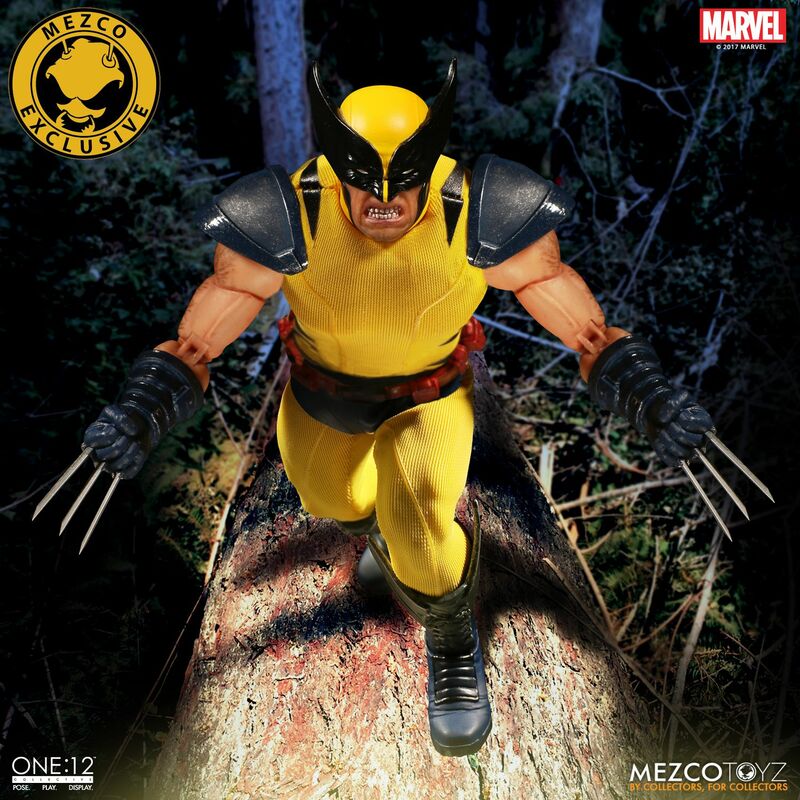 Here is why Mezco costs what they cost; they make a limited run of the figures, they tend to come with a lot of accessories (typically an extra head or 2, multiple sets of hands, weapons, a display stand, etc), they have 30 points of articulation, collector friendly packaging, the paint deco is typically really, really nice, and the tailored soft goods are typically some of the best in the industry on this scale. I know $80 seems high for a 6" action figure, but compared to almost all other figures in this scale, Mezco consistently makes better figures. 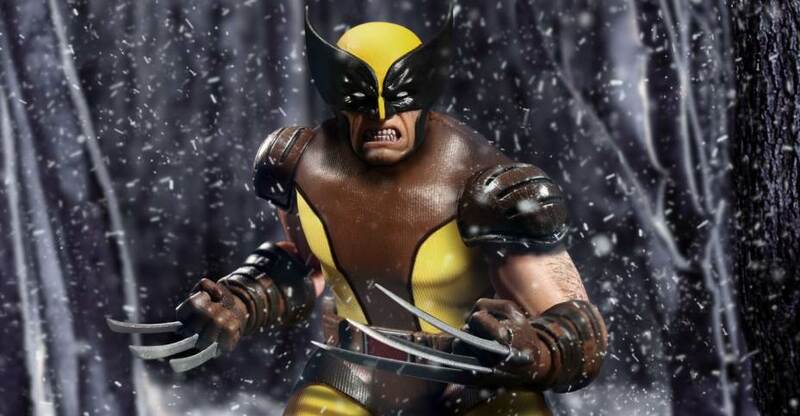 I'd pay $80 for a Mezco Wolverine before I'd pay $30 for a rather mediocre Marvel Legends. But that's just my personal preference. I'm a big fan of Mezco's work. This line has great character selection and quality. 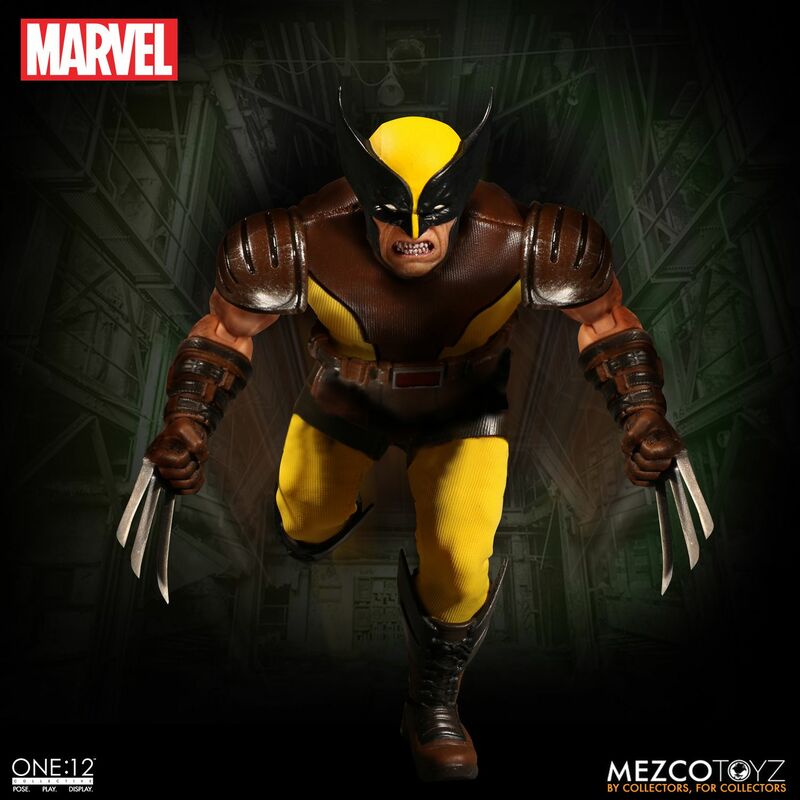 I just will never get these though, Sideshow and Mezco for some reason just choose ugly cloth design. This design is particularly ugly. It's those short shorts that really ruin it. Underwear look better than boxers...what can I say, it is the truth. They need to actually get some product on the streets before they announce any more exclusives or new figures. Sorry to double-post, but I have a few preorders going that say September...but honestly I'd be surprised if even one of them actually got released. I guess there's hope for Wolverine...but who knows - they didn't get Deadpool out before the first exclusive of him. Yeah, I have Deadpool, Harley, Wolverine, and Spidey on order and they were all originally slated for summer and kept getting pushed back. Not to mention every other thing that had a street date of this year got pushed back to fall or early 2018... I think Red Skull was supposed to be out in spring originally. What's the freakin hold up? Well, at least Deadpool is currently shipping out to retailers. I'm hoping Harley will actually ship this month also. Damn, I entirely forgot they were even making a Suicide Squad Harley. Looks fantastic. 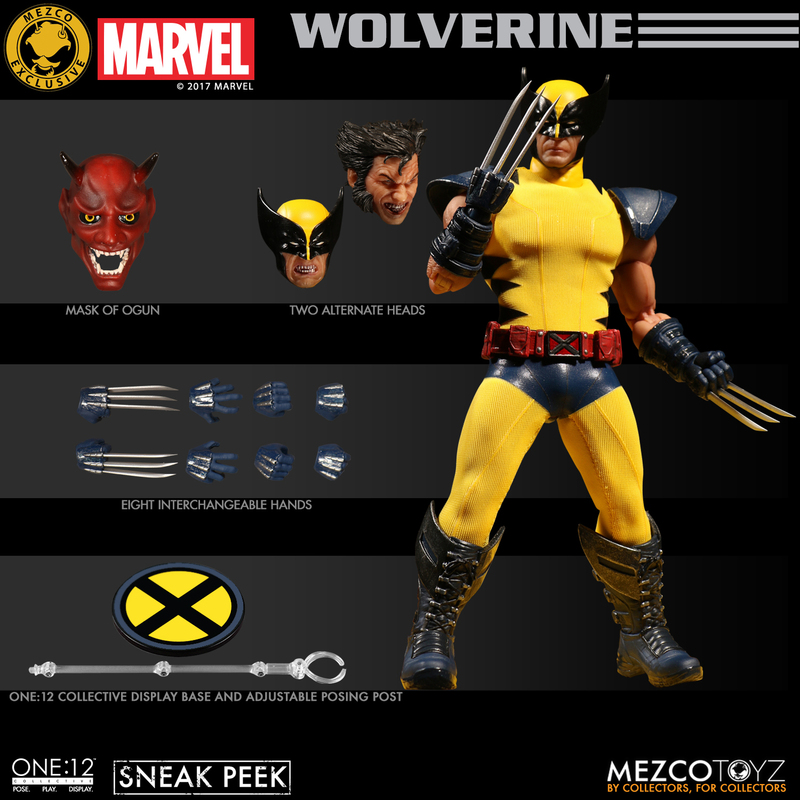 Between this, Revoltech and Hasbro, I am good with my Jim Lee. Also just one nitpick, the shoulder tiger stripes needed to be longer. His chest area just looks kind of empty and lengthening it would have helped the overall look. Mask of Ogun? Wow, they're referencing the old Kitty Pryde and Wolverine mini-series from the 1980's. It's an awesome looking figure, but I'm having flash backs to the Punisher Classic. That fiasco made me just about drop the line entirely. Now I just pick and choose a rare few. I don't think this'll fall victim to the same problems as Classic Punisher; for one thing, they're telling you they're going to launch the pre-orders and when, instead of just going "They're live now lol". Second, it's definitely not limited to only 400 units. Third, it does have a buying limit, of 6 per person (although I do feel it could stand to be a bit smaller, it's still something to prevent it from being scalped), unlike Classic Punisher. The only problem Classic Punisher had that this also has is the lack of international shipping due to being a Mezco Store Exclusive. 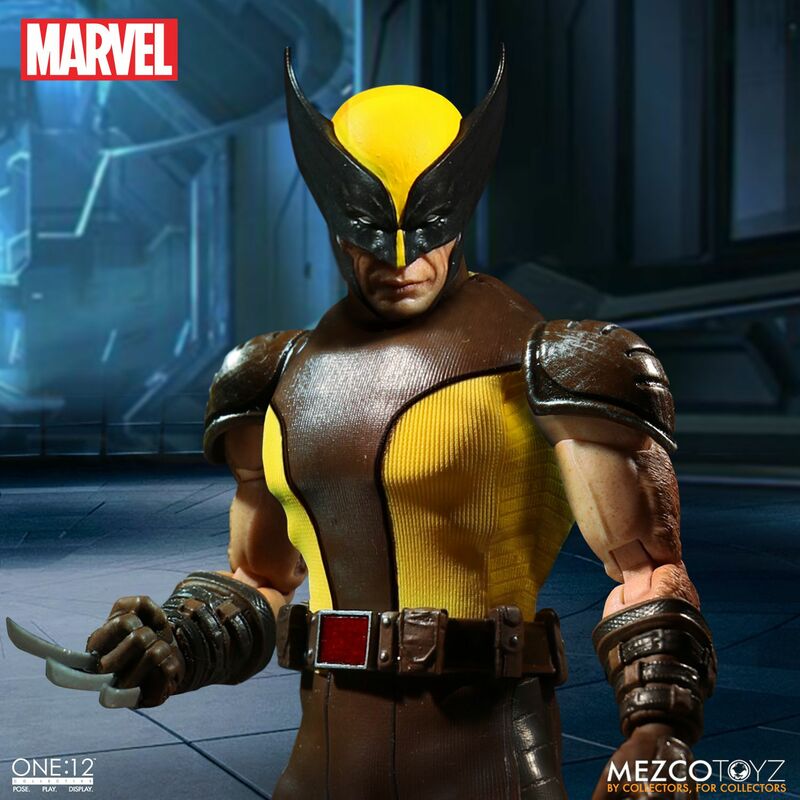 I've always preffered the brown suit for Wolverine. But this looks too good to pass up, pre-ordered!